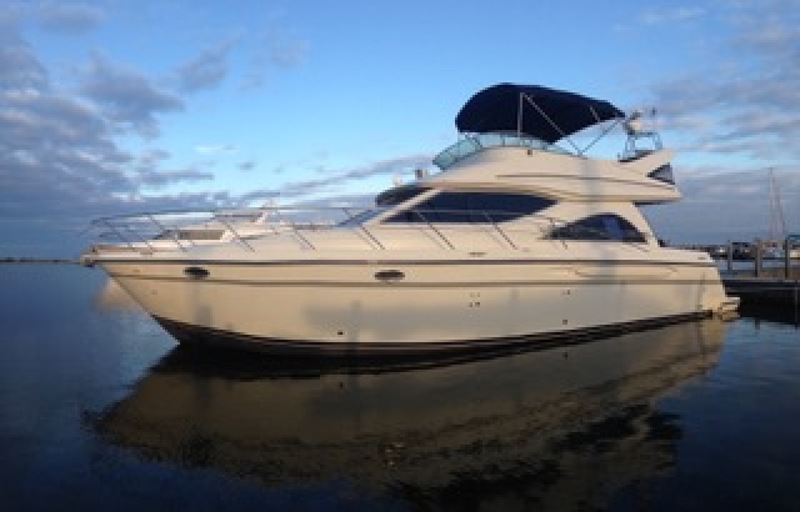 Cruising perfection. 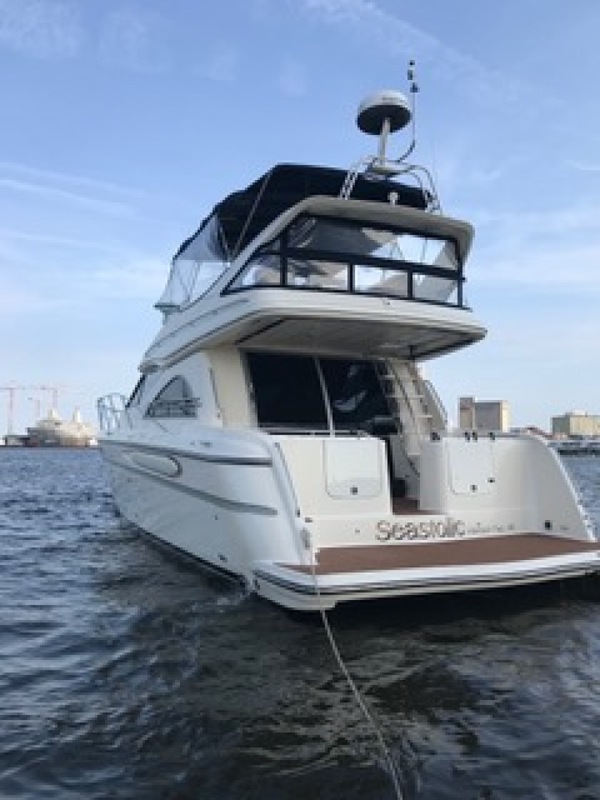 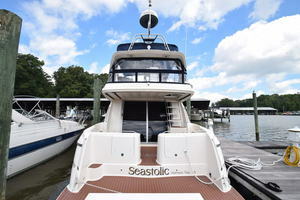 "Seastolic" is without question the finest Maxum 4600SCB on the market today. 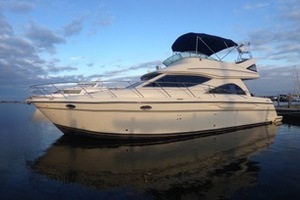 She absolutely gleams inside and out. 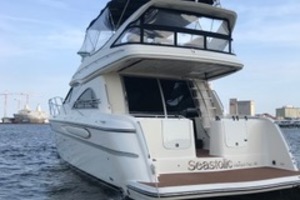 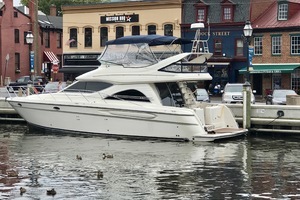 Primarly kept in the fresh water of Lake Michigan in a heated boathouse, she is now enjoying the cruising life of the East Coast. 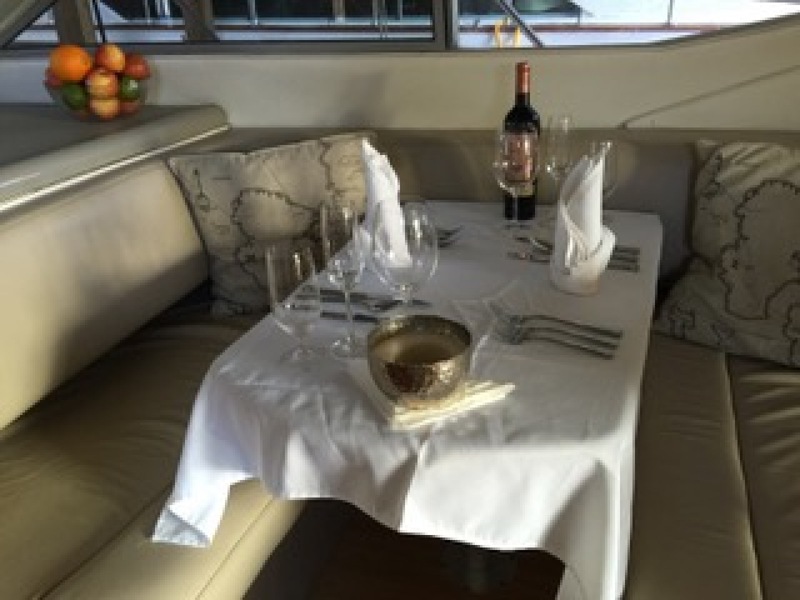 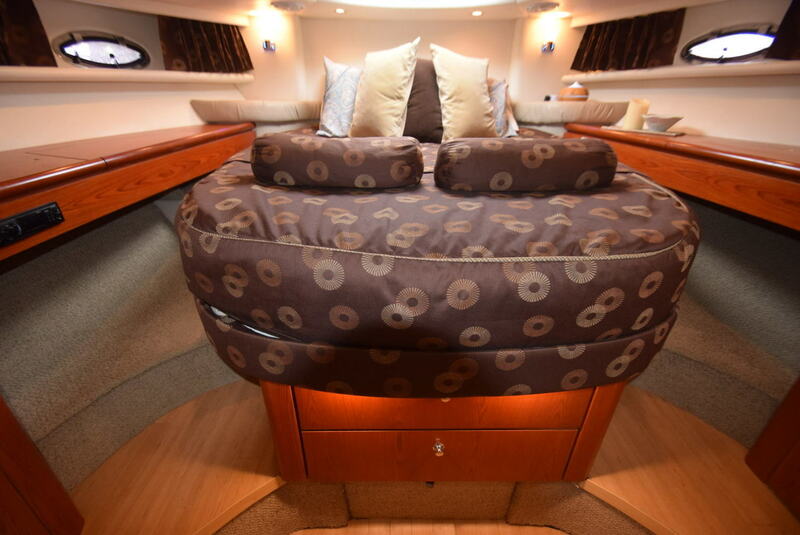 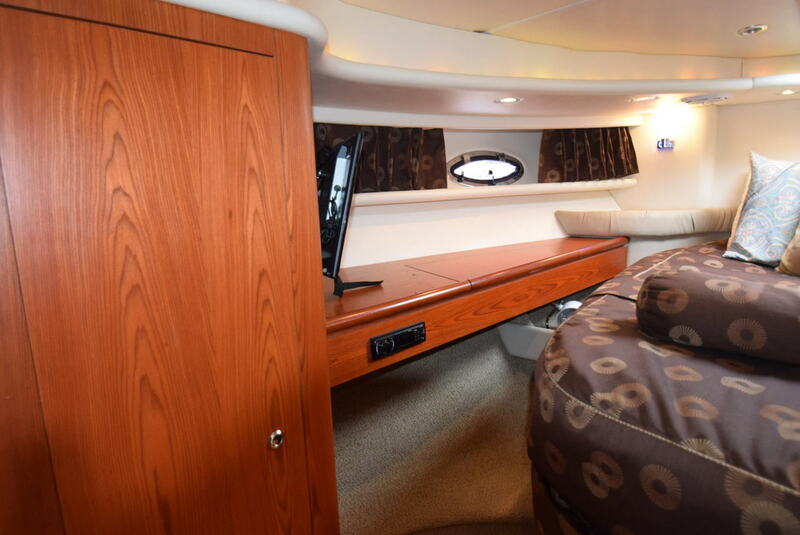 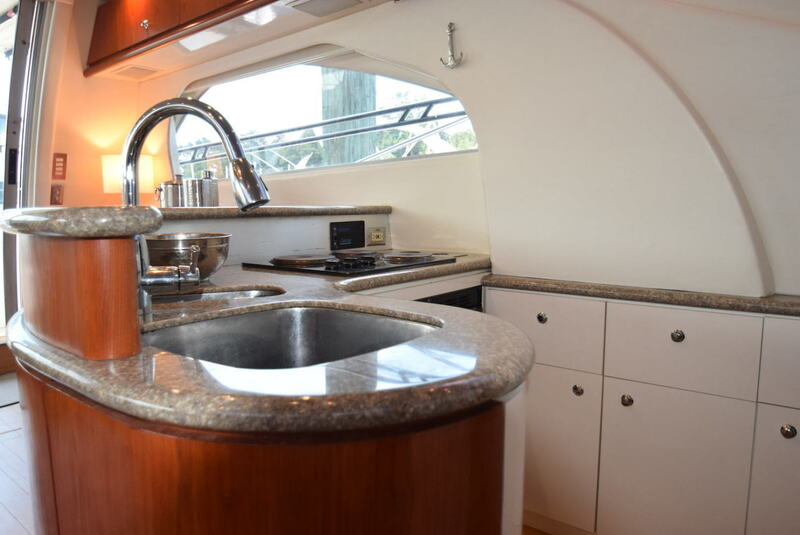 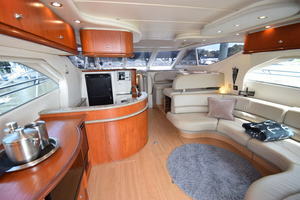 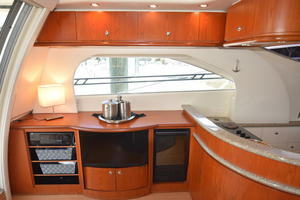 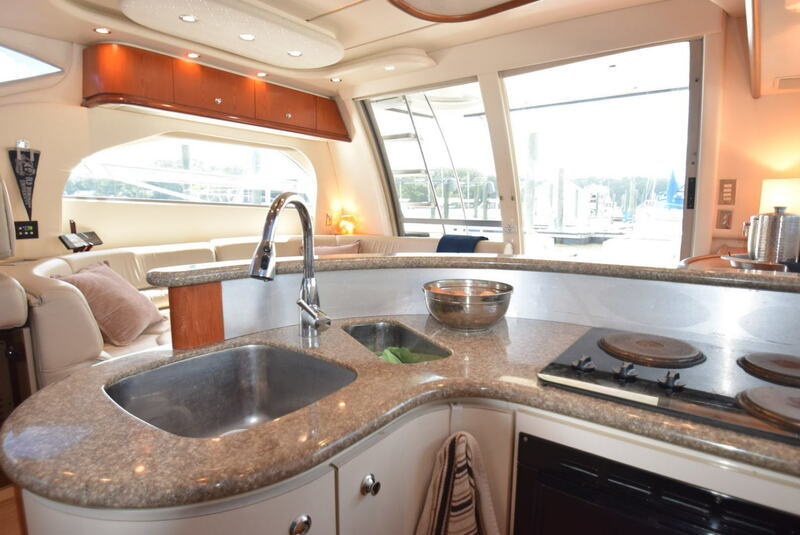 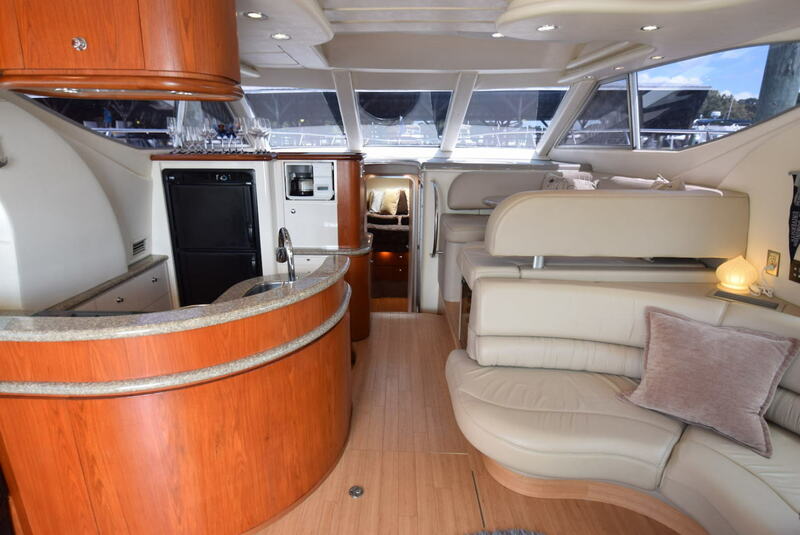 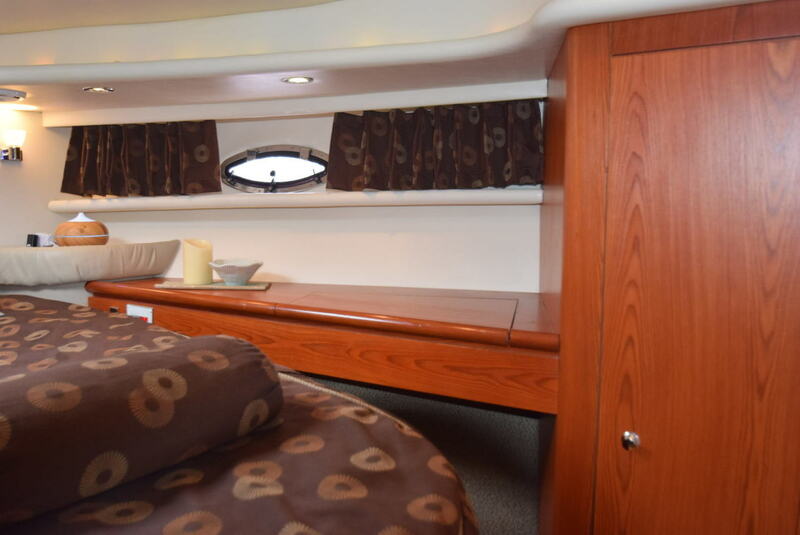 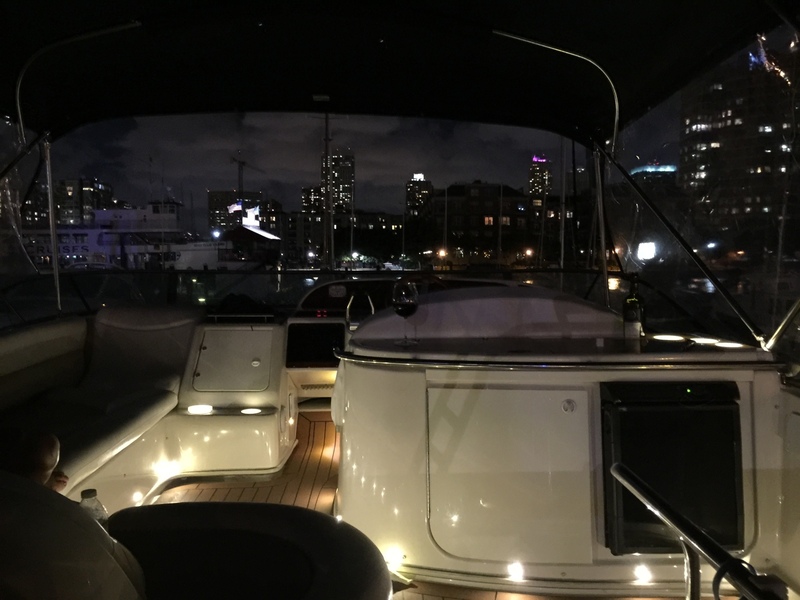 With her raised dinette instead of a lower helm the entire salon, galley and dining areas are open and airy providing a spectacular space for lounging and entertaining. 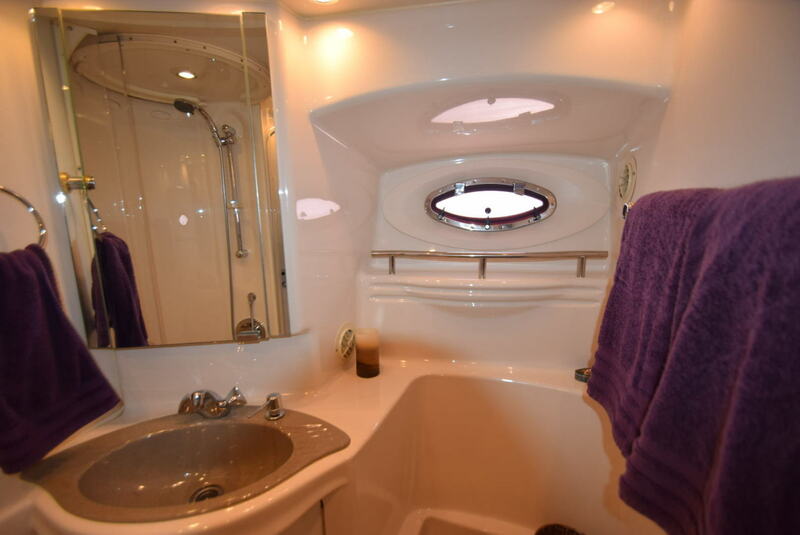 The master stateroom is plush and comfortable with plenty of storage and a huge master head with a bath! 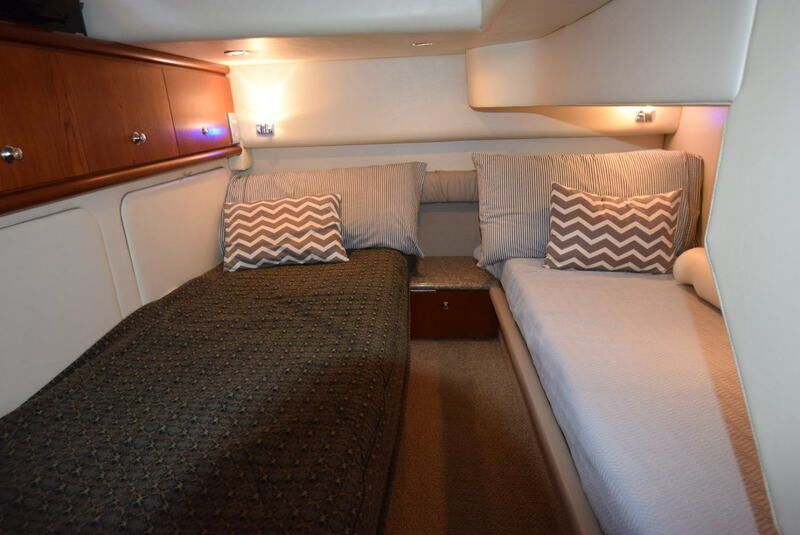 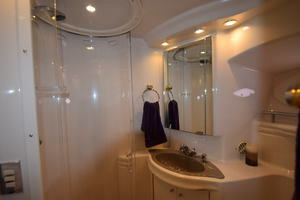 The VIP stateroom features two twins for guests and a full ensuite head with it's own shower. 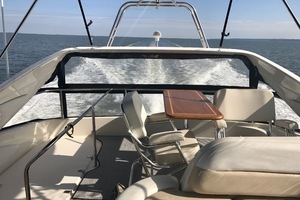 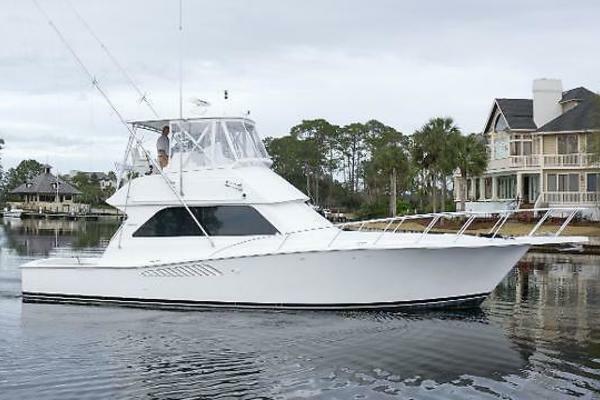 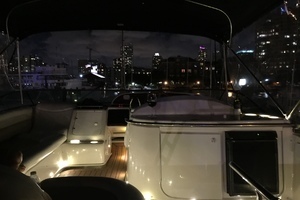 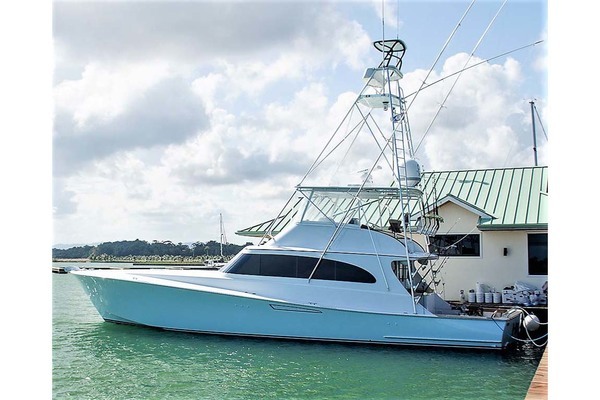 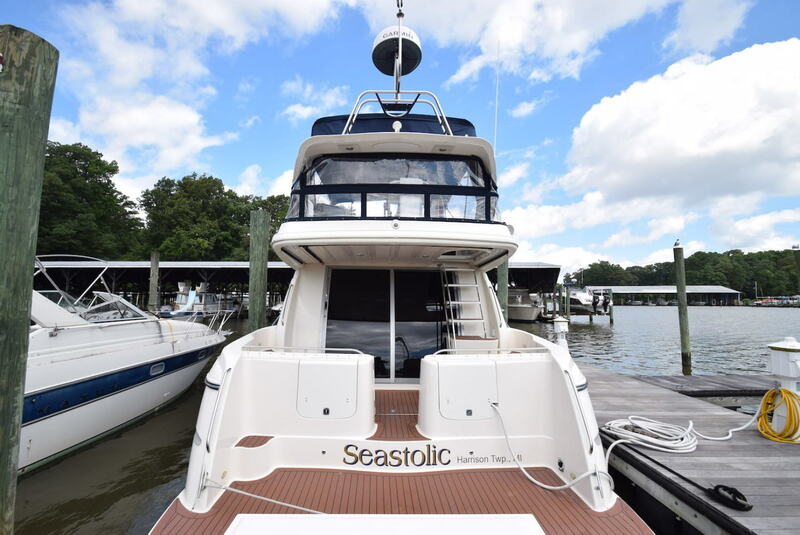 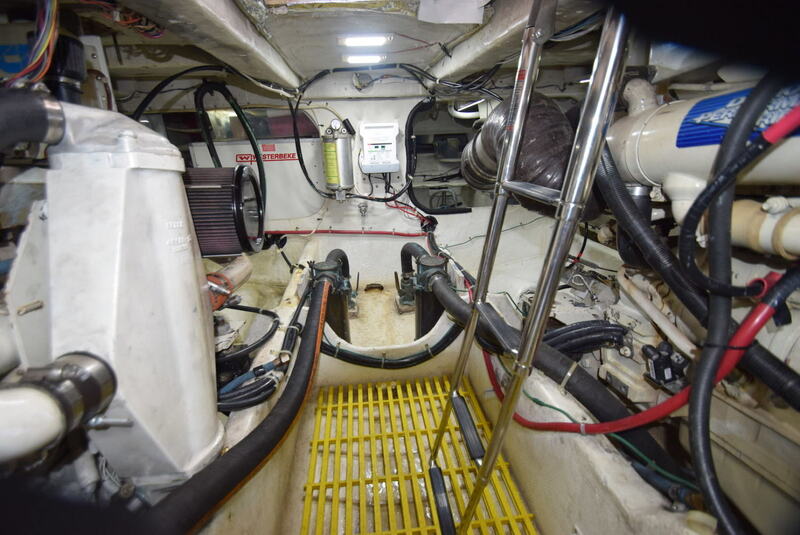 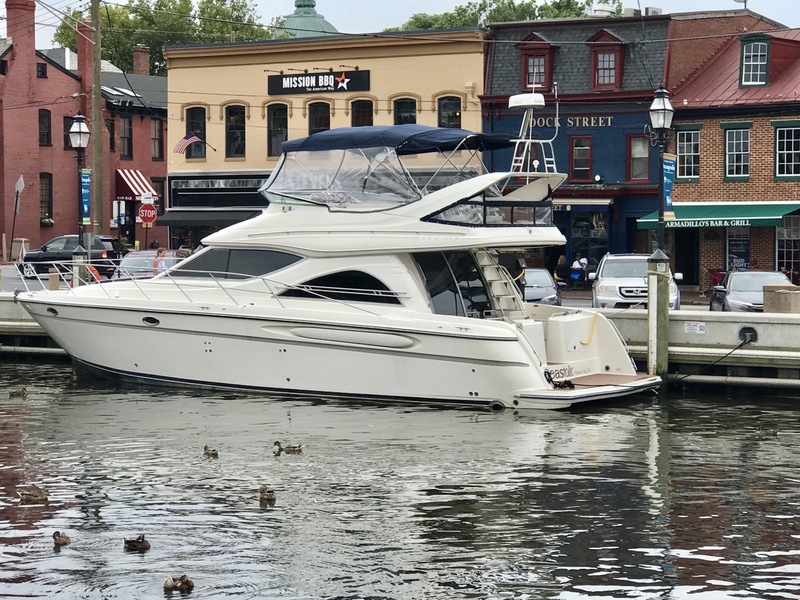 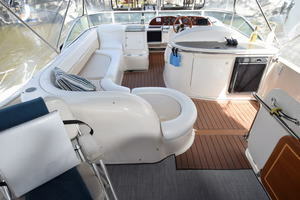 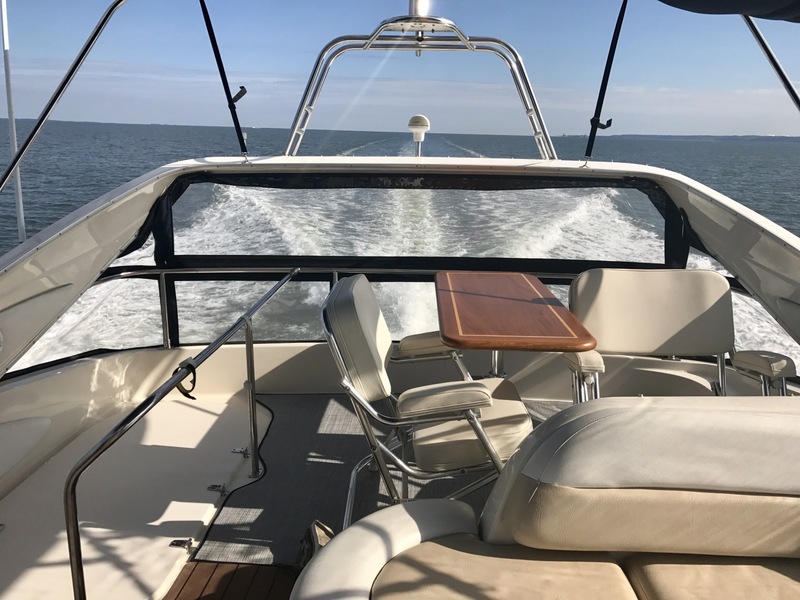 The bridge is expansive and elegant with plenty of room for a party and an excellent helm layout with all around visibility and updated electronics. The large aft deck and swim platform provide great space for sunsets and water access. 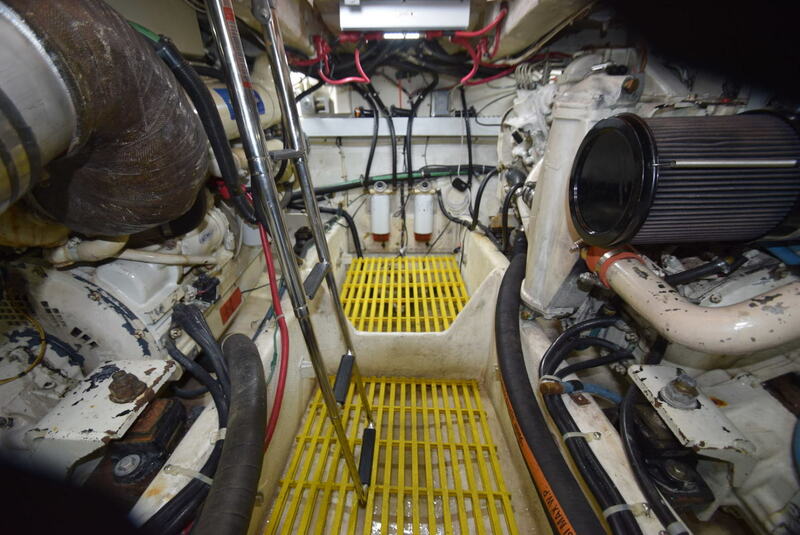 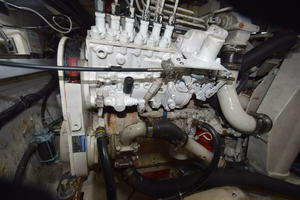 Her preferred optional Cummins 450hp engines provide an effortless 19 knot cruise at 2250rpms while burning a mere 28gph combined! This is a huge upgrade over the slower stock engine package. 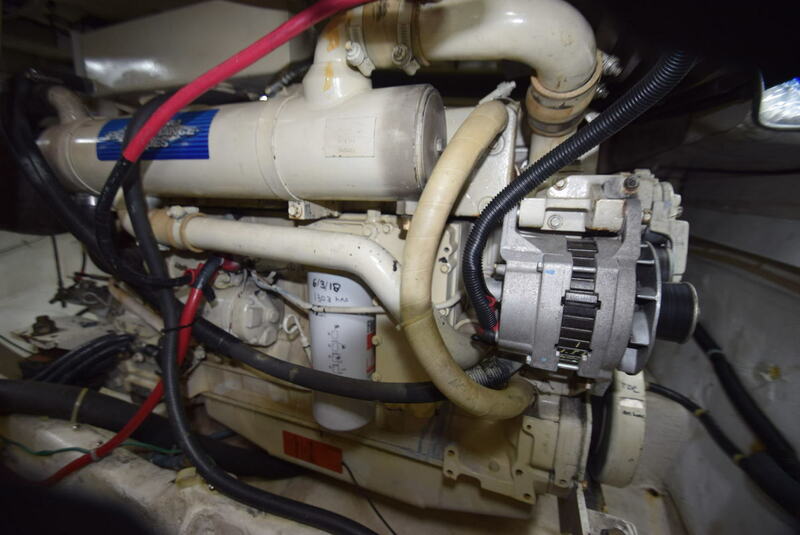 If you prefer to maximize your range she can sip 5.8gph at 8 knots and 1200rpms. 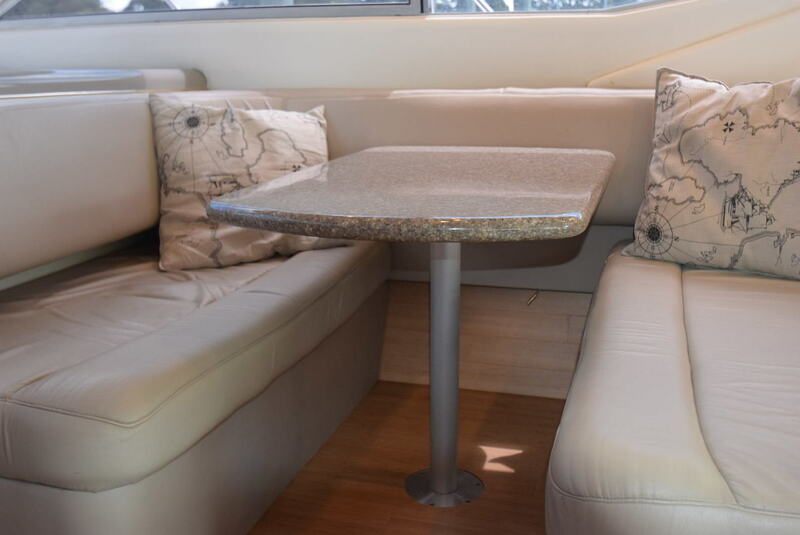 The solid fiberglass hull provides peace of mind over the cored hulls of the competition. 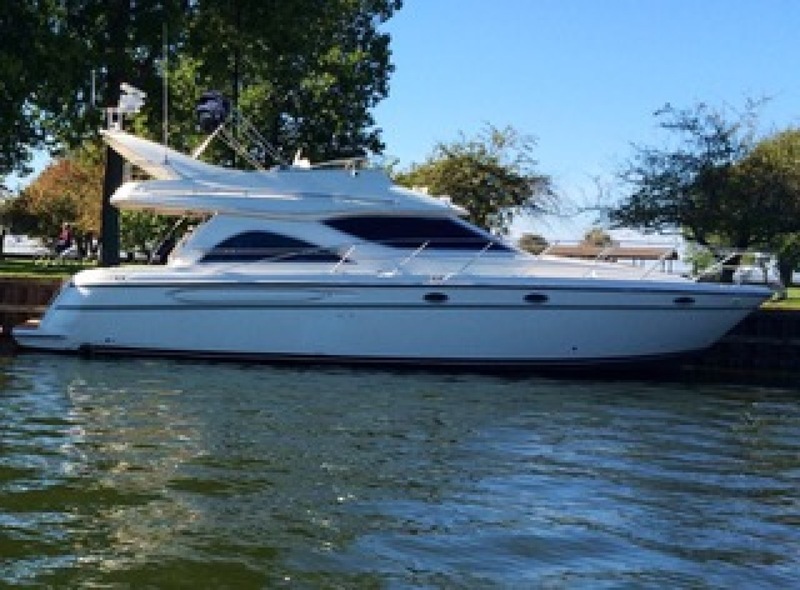 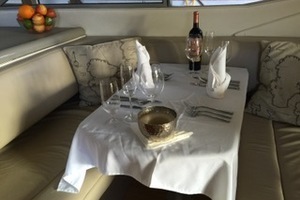 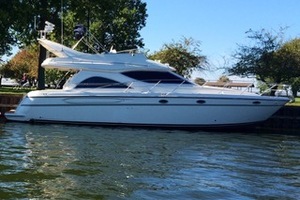 She is an elegant performer capable of weeks of cruising or comfortable weekends at the marina. The list of upgrades and maintenance is too lengthy to list here, but includes custom canvas enclosures with and without screens for everything. 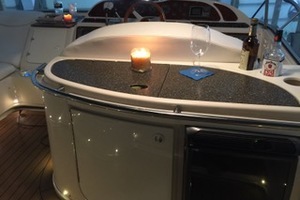 Please make an appointment to see this impeccable vessel today. 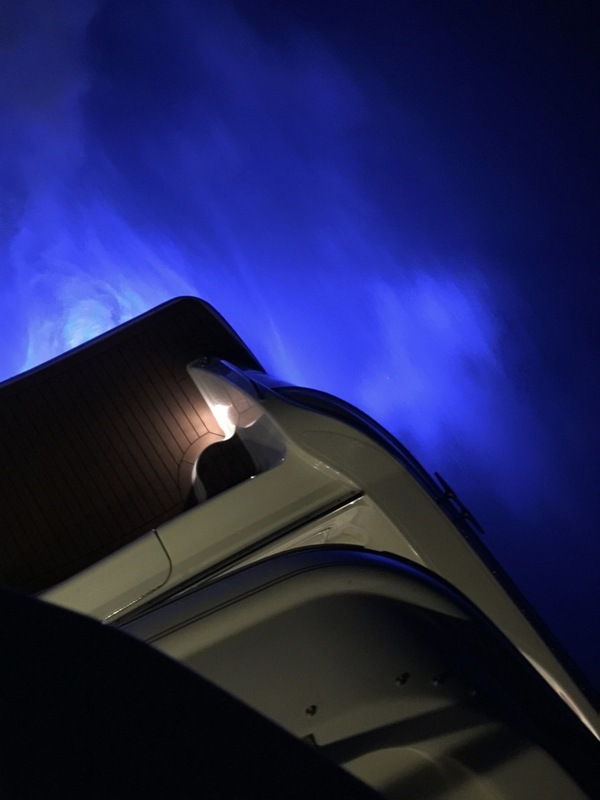 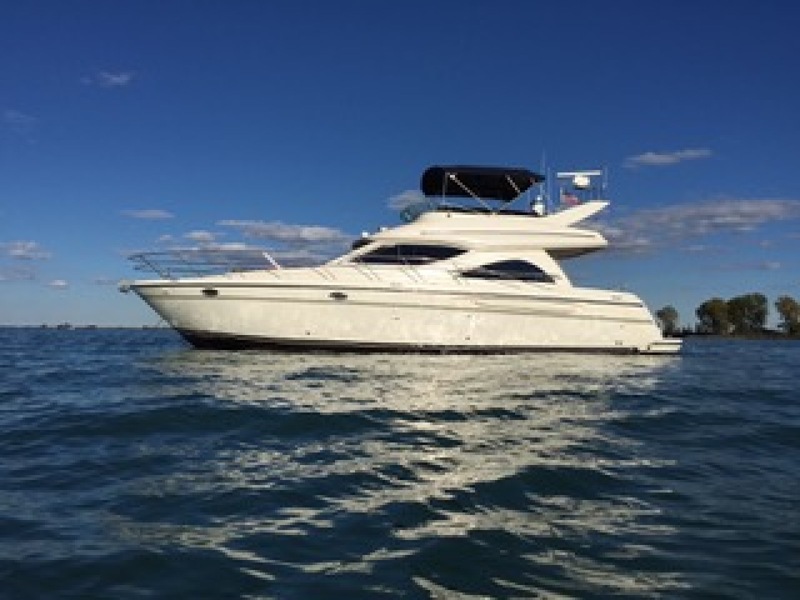 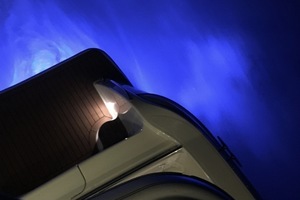 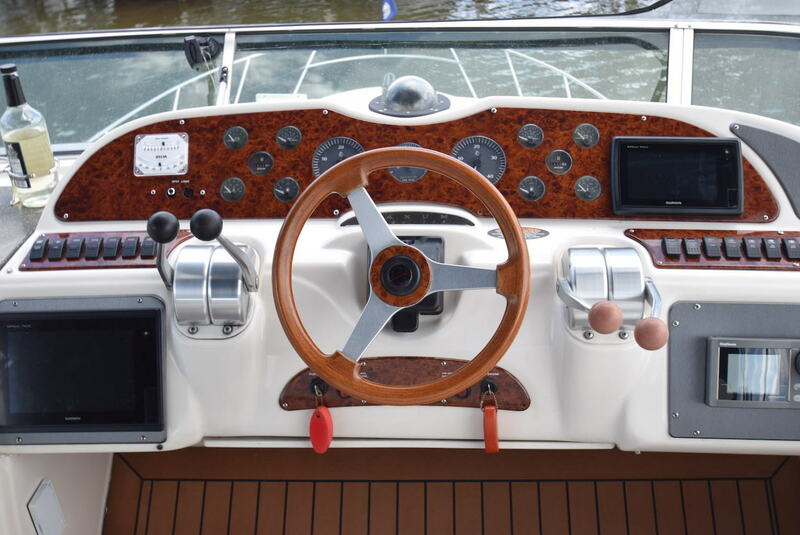 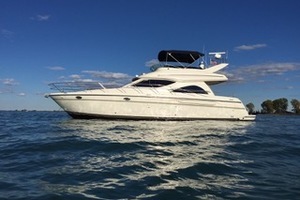 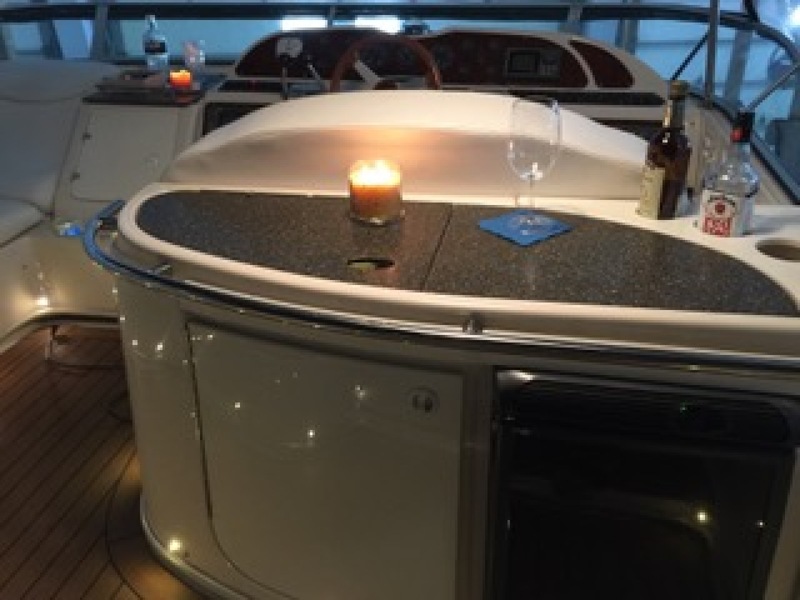 400hp gas inboards cruise at 16–17 knots cruise (24 knots top).